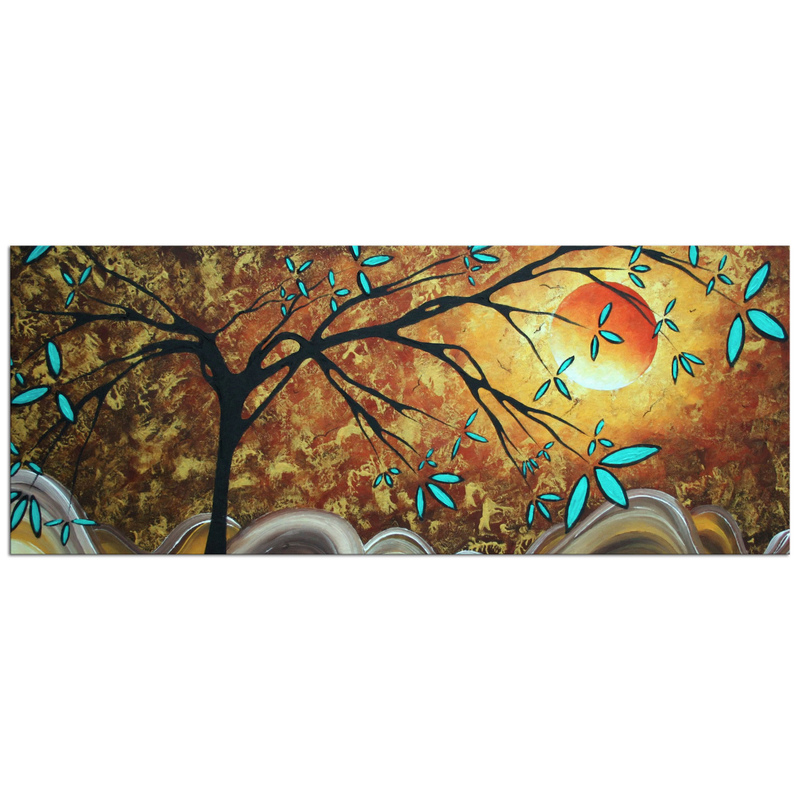 The 'Apricot Moon' design is a whimsical landscape scene featuring an abstract tree silhouette with striking turquoise leaves popping brilliantly off of the golden hues spreading from the evening moon. This contemporary landscape setting takes place on a fun horizon of striped, rolling hills. Megan has a recognizable style of abstract, fantasy like landscapes, with large trees, colorful accents, and creative color combinations. Her artistic style is appealing to Decorators of all types, and she is not afraid to be bold and daring with her colors and artistic expression. The striking colors, attractive satin/matte finish and durable metal medium work beautifully in a living space, office, home, restaurant, hospitality, or restaurant display. 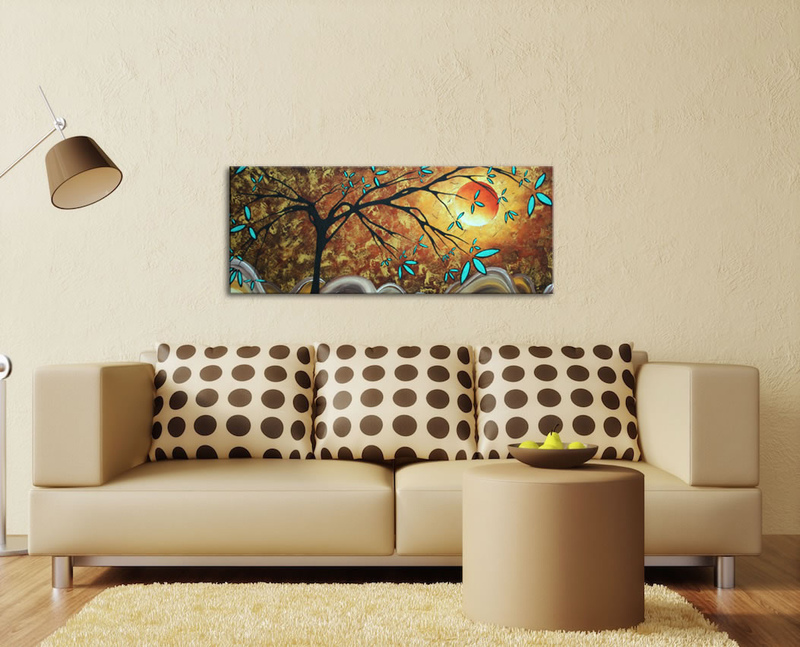 Megan Duncanson is one of our newest artists to join the Modern Crowd family, with a collection of designs exclusive to our line of fine metal giclees.